Linley & Simpson, the independent Yorkshire estate agency, has strengthened its team specialising in the sale of new homes. 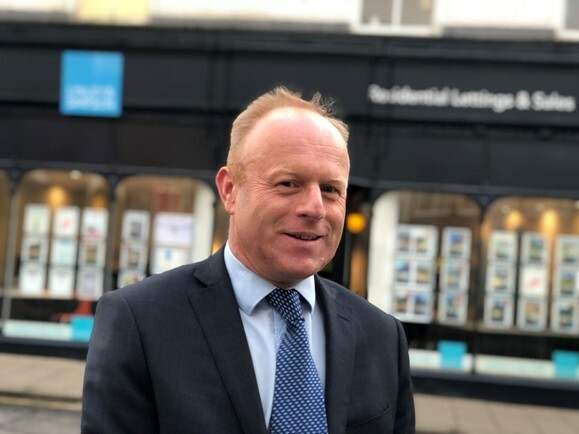 David Reeves has been appointed to the new position of New Homes Sales Manager as developers invest in the county in ever-increasing numbers. He brings more than 20 years’ experience of the residential and commercial property sector to the role. It will see him launching to market a portfolio of new homes – houses, bungalows and apartments – stretching from Wakefield to Ripon. The agency recently scooped silver at the industry’s Oscars in the hunt for the best Land and New Homes team in the whole of the UK. Since launching fewer than five years ago, its Land and New Homes department has seen demand for its services grow 40-fold and now oversees dozens of home-grown Yorkshire schemes totalling more than £400m. David said: “Thanks to our market insight, we have matured into of the biggest new homes sales specialists of our type in the region. He will work closely with Linley & Simpson’s Director of New Homes, David Waddington, who said: “David’s expertise adds an extra dimension to the way in which we take schemes large and small from the planning process, through the construction programme, to the marketing campaign leading to a successful sale. Before setting sail for a career in property, David worked on the QE2, looking after guests including Sir John Mills, Sean Bean and Esther Rantzen. A native of Exeter, he now lives in Horsforth in the heart of the Linley & Simpson branch network area, which now extends from Wakefield to Skipton, and Ilkley to York.